I just couldn't wait to get my hands on a couple of new spring clothes so went shopping! 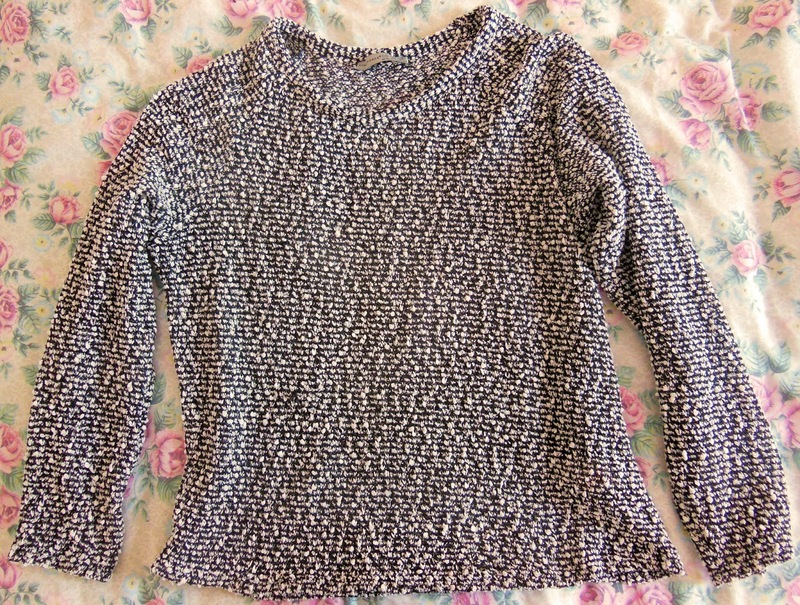 This is a very fine knit jumper from Primark and I bought it for only £6. Bargain! 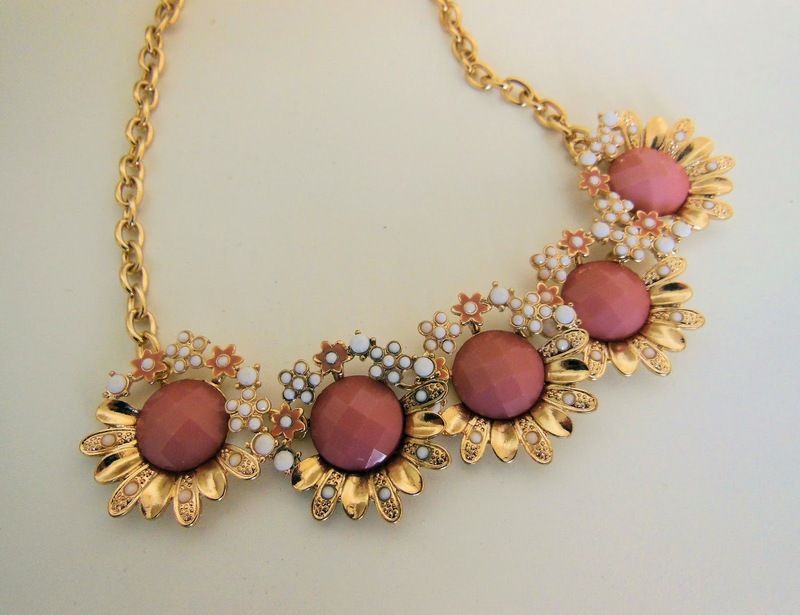 And my obsession with pink flower jewellery continues after I bought this also from there for just £4. 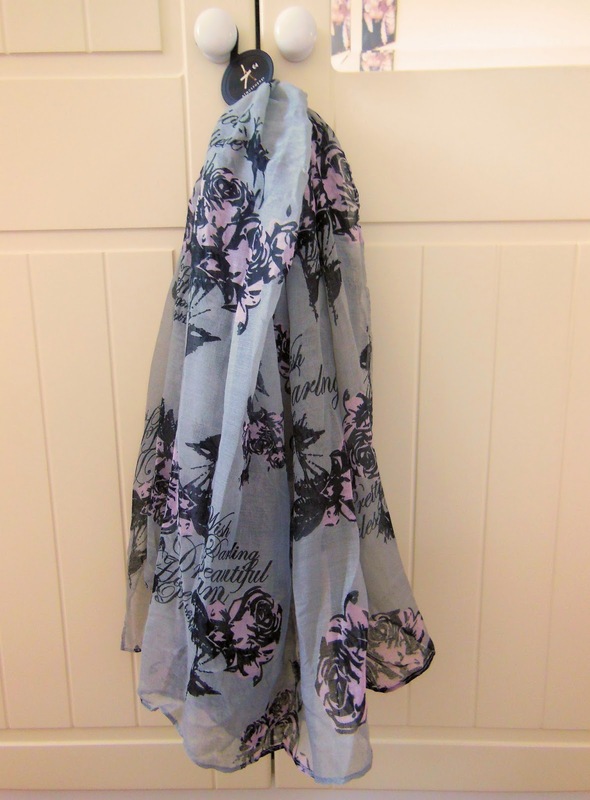 This pink butterfly scarf caught my eye while I was on my to the till as the neutral shades make it wearable with anything. It was £4. 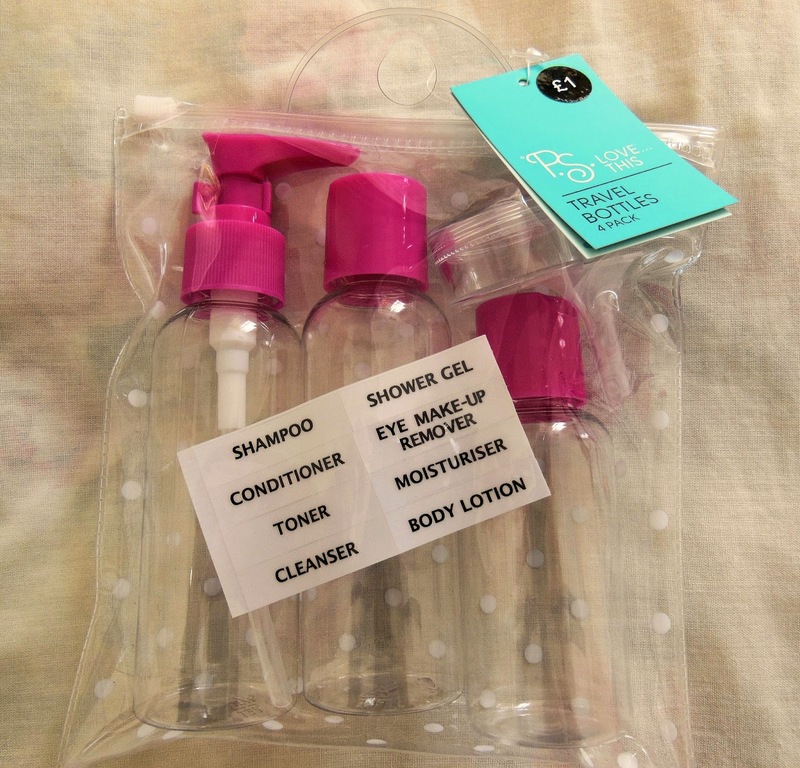 The last thing I got from there was this travel bottle set which is always useful! It has different sized bottles with even a spray bottle top, a small pot, tiny funnel, plus stickers to label each one. It was just £1. 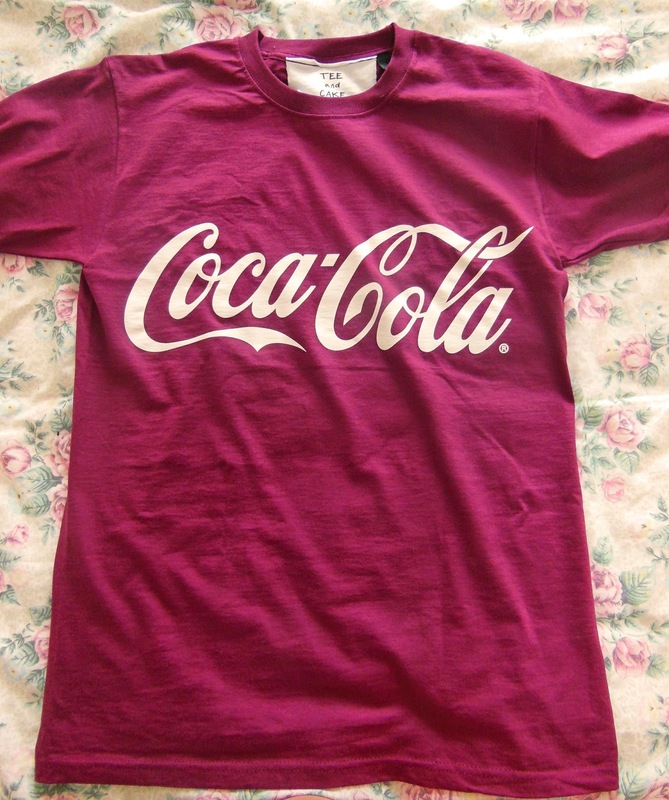 The next buy is the most expensive one from Topshop, £23, and is a lovely dark red colour t-shirt with the coca-cola logo on it. Find it here. 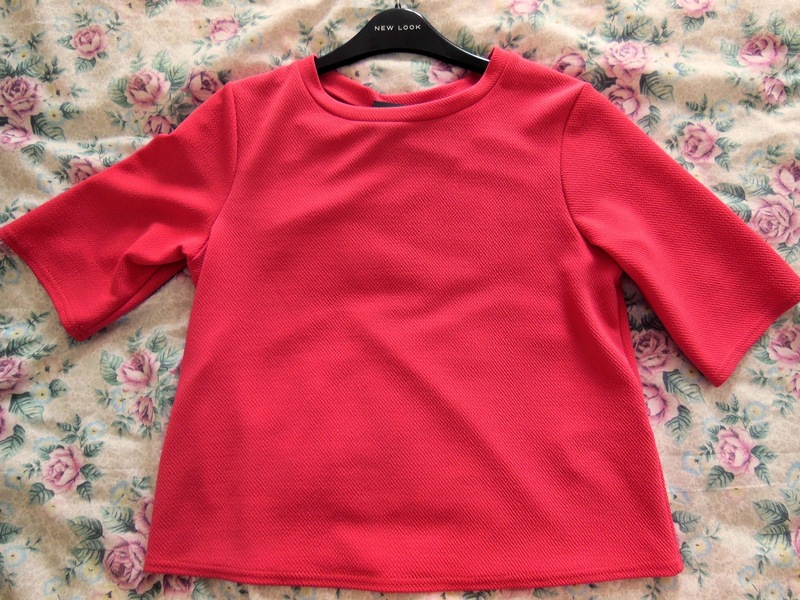 These next two buys are from New Look and are both textured boxy fitting t-shirts. 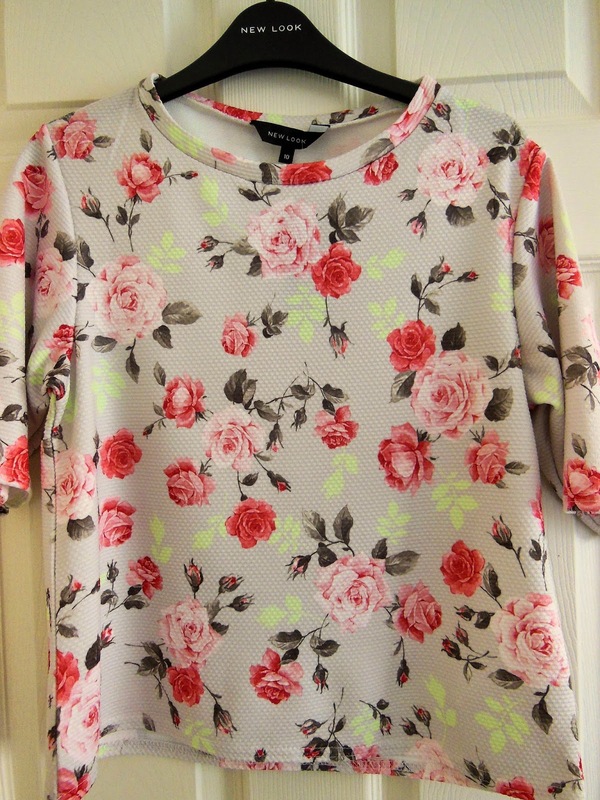 The first floral one was £14.99 and can be found here, whereas the second pink one was £12.99 and can be found here. 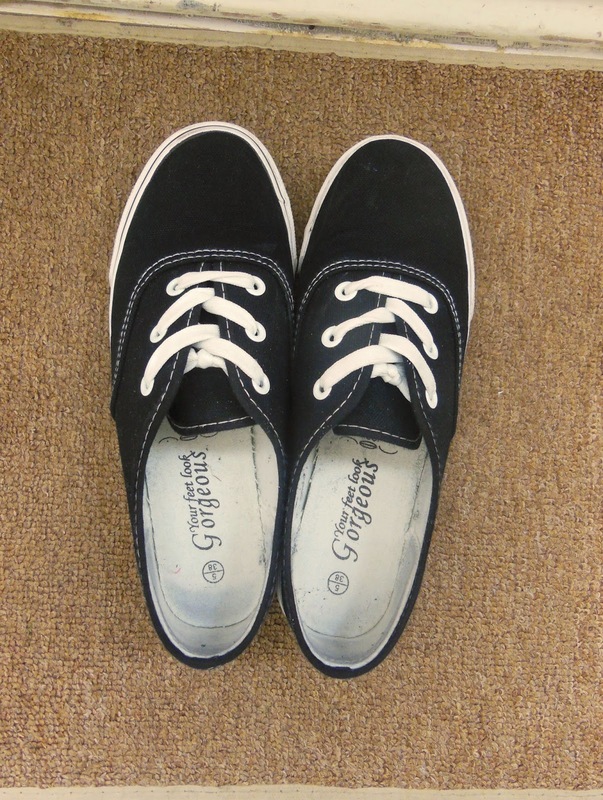 These lace up plimsolls from New Look go well with every everything and are ever so comfortable! I paid them £11.99. 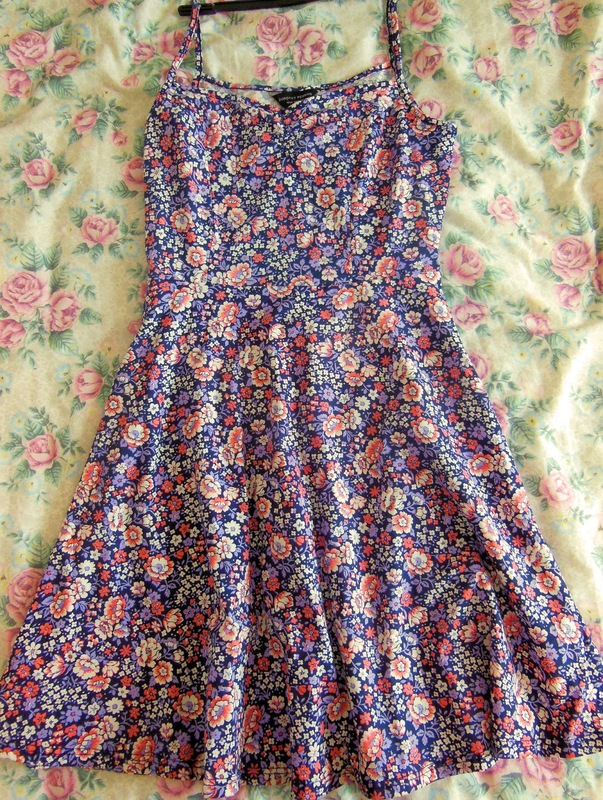 The last thing I bought was from Dorothy Perkins and is a floral cami dress which can be found here. It was just £16. The bright floral design was what caught my eye with the slightly flared skirt, and I can image it to be perfect for summer. Now I just can't wait until the weather gets warmer - what about you? I think it should be flattering as it glides over the hips and then it flares out only slightly. I'm a size 10 so it should fit us very similarly!